- Divided by 4 gives the PAL frequency for color-TV. CPU: Z80A from Zilog or MMN80 CPU (Romanian Z80A). Russian equivalents was never used as far as I know. ROM: 27C256, 32Ko EPROM, 16Ko for BASIC (derrived from Sinclair BASIC) and 16Ko for CP/M BIOS. Only 8Ko of CP/M EPROM are effectively mapped in CP/M EPROM, the ohter 8Ko are used when configuration are changed. 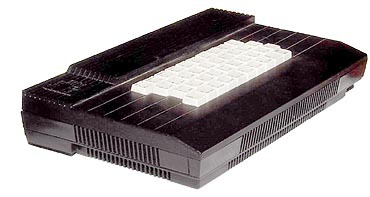 The EXTENSION adds 16Ko DISK/NETWORK/BIOS for BASIC, extensively modified from the 8Ko Sinclair Microdrive BIOS, with disk bios functions CPM-like. ROM's are mapped in the same manner as in the original Spectrum with Microdrive, but the circuits are discrete. RAM: 2 x 44C64, 64Ko x 4bit each. Only 48Ko are used in BASIC, but CP/M uses the entire 64Ko capacity, 56Ko RAM + 8Ko EPROM. The 8Ko video area are pagged in the C000h-E000h address space so the total RAM accessible is 64Ko. This design was quite original! ULA: Both computer and extension logic IC's are discrete, with Russian, Romanian or Western LS or ALS logic series. EXTENSION: The standard extension provides 3"1/2 (disk 1, disk A) and 5"1/4 (disk 2, disk B) disk drives. Interface uses Intel-8272 LSI FM/MFM disk controller, only in the MFM mode, wich provides 720Kb on 80 tracks (3"drive) and 360Kb on 40 tracks (5"drive). BASIC disk access provides only 640/320Kb. Clock frecvency for controller is 8Mhz. Disk PLL is digital, and works quite well !! The design is quite different from the PC-floppy boards, but "inspired" from them. The extension logic has mainly LS 138 dmux/decoders wich provides port selection, video area pagging in the mainboard for CP/M, and ROM pagging Spectrum-like. Network uses packet syncronization by blocking CPU in WAIT state until sync bit is detected. Network BIOS is intirely Microdrive Sinclair "inspired". SERIAL INTERFACE is a bad design. Uses soft delays for BAUD rates. Never can be achieved true bit syncronization!! Works only for serial printers. RS232 level converters (1488/1489) are powered at -5V and +10V from an internal comutation supply (using an transformer drived by 8Mhz clock properly divided). The new channels used with these interfaces are specified in Extended BASIC . The streams are specified with #n, where n is a number from 1 to 15.The streams 0,1,2,3 are the most useful in BASIC. Each channel is specified by the corresponding letter. The network and the drive need more informations to completely specify the channel. A network channel needs a station number, so a network specificator has the form "n";x, where x is a network specificator, that may have values from 1 to 64. A disk specificator has the form "d";x;"name", where x is the drive number, that could have the values 0,1 or 2. The name could contain a maximum number of 11 characters. The first minidrive accesed after NEW or CLEAR# will be the current minidrive and will be able to be specified with the number 0. If we would try the 0 minidrive without accesing first the minidrive 1 or 2, we will receive the error "invalid drive number". It is suitable to not use the "?" character inside a file name. It is used in the file system to replace any other character. If you want to delete the files named "name0","name1", "name2", and you don't have any files with this name, you may give it one command, ERASE"d";1;"name?". This will delete all the three files. If in a OPEN# you specify partialy an existing file's name (using "? "), the computer will use the first file that matches its name. CAT y Lists all the file's names that are on the disk or the minidrive y. The list is reprezented in the order from the disk's table of contents(TOC). After the list, there will be shown the free space on the drive. CAT #x,y Sends the TOC to the stream X. CAT y;"cc...c" Lists all the files which names matches the caracter array "cc...c". CAT #z;y;"cc...c" Like upper mentioned, sent to stream z. CLEAR # Rebrings all the streams and channels at the status after NEW. CLOSE #stream Breack all the links between a channel and a stream. If there are datas stack in the channel's buffer, these are sent through the network, or to the disk. ERASE"d";y;"name" Erases the files specified by "name" from the disk y. FORMAT "d";y Formats the disk in the drive y. All the files from the drive y are lost. This operation is necessary when using a new disk. If the disk was not formattede and we try to acces it, we receive the message "disk error". After formatting, we give it the command CAT, and "File not found" is displayed. The disk is ready to use. INKEY$ #stream Returns one single character from the stream, or an empty character"" if there is no character. INPUT# stream,value Reads the variable value from a specified stream. The stream had to be prevesioly opened by a channel. LOAD*channel options Loads the program, the datas or the code from the specified channel. We can only use the channels b,n,d. All the existing options for LOAD are availeble for LOAD*. MOVE source TO destination Moves the datas from source to destination. Source and destination could be streams numbers or channels. OPEN# stream, channel: Links the specified stream to the specified channel. PRINT #stream Prints the PRINT sequence to the specified stream. The stream had to be opened for a output channel. SAVE* channel, options Saves the program or datas to the specified channel. Could be used only the streams b,n,d. All the options availeble for the SAVE (on tape) could be used for SAVE*. VERIFY *channel, options Same as LOAD*, but the datas aren't loaded into the memory, just compared with the ones in the memory.